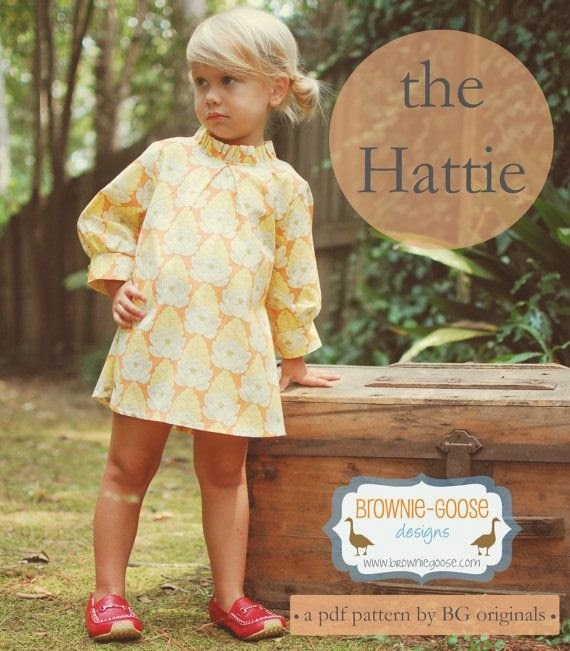 The pattern being flipped was the Hattie Dress by Brownie Goose. I think this dress is adorable by itself. 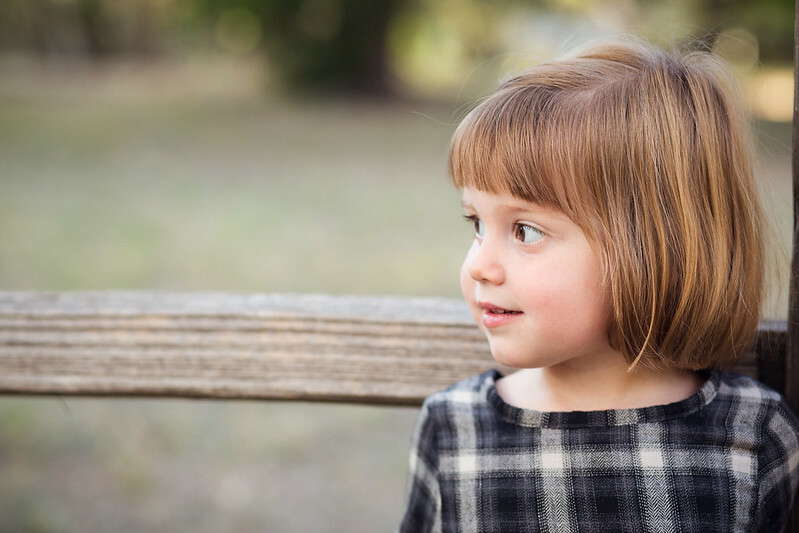 In fact, I have plans to make one straight up for Iris soon. While I do love altering patterns, my brain usually operates in the reverse of 'Flip This Pattern.' I generally start with a idea and then find a pattern that I can alter to make my vision a reality. So this time, I started with my favorite part of the pattern, what I wanted to keep - the sleeves. 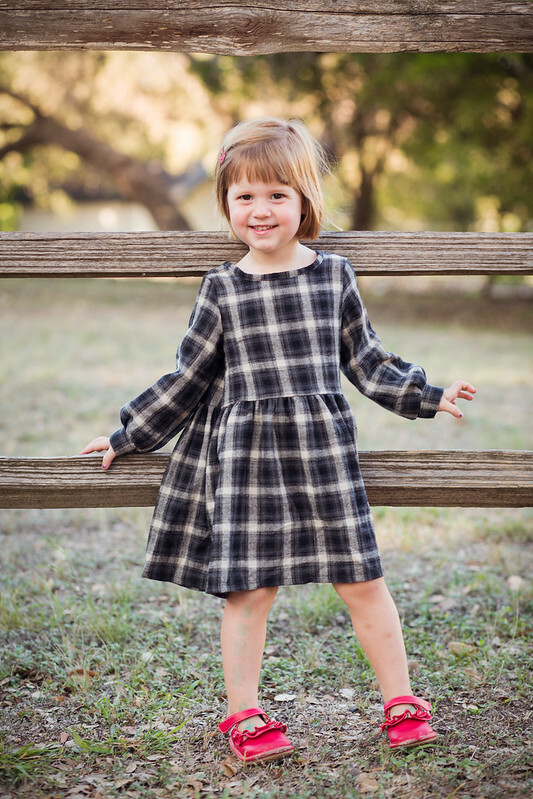 There aren't a lot of dress patterns with long sleeves. Then I went to my favorite source of inspiration, Pinterest. I landed on this pin and decided to try to replicate it. Given I loved those sleeves so much, the only change I made to them was to shorten the cuff by about an inch or so. Next, I removed the bodice pleat, drawing a standard bodice top while being sure to keep the Hattie's underarm curve shape. I wanted a loose fitting bodice, so I kept the Hattie's A-line shape and simply shortened it to hit at Iris's belly button. Then I added a gathered- but not too gathered- skirt. I really debated as to whether I should line the bodice. I ultimately decided not to, to give the dress a more flowy feel. This allowed for easy construction being the Hattie pattern is also unlined. I could pretty much follow the pattern instructions. This left my neckline unfinished. I knew I wanted to finish it with bias binding - though technically not 'bias', because I cut it on the crossgrain. The final small change I made was to make a fabric button loop rather than an elastic one. Whenever I work with plaids, I'm always careful (and maybe a bit obsessive) about making sure my plaids match. 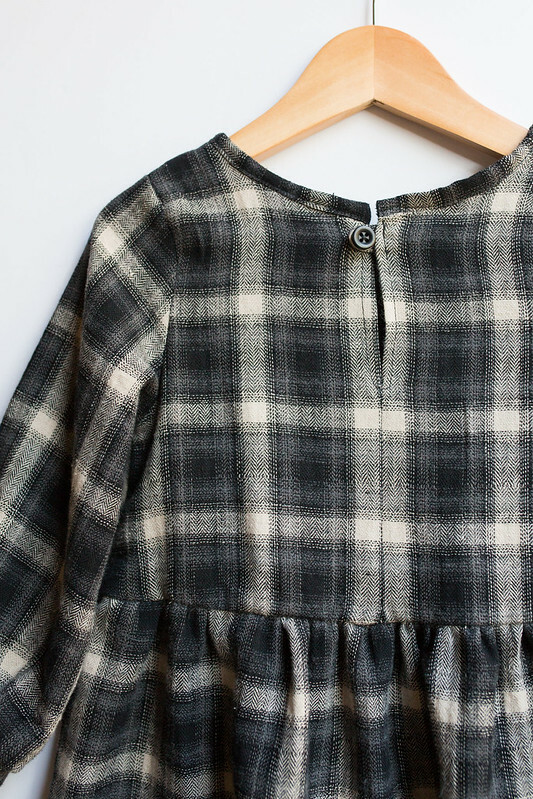 Whether it's the neckline binding, the cuffs, or the side seams, I'm always mindful when cutting plaids to hopefully make the dress more interesting. I bought my fabric here. The description says it's a flannel but it didn't really feel like a flannel at all - in a good way. I loved the weight and drape of it. Within each of the cream lines is a subtle herringbone pattern. Unfortunately, though, fabric.com says it's no longer available. I hope they get more in stock soon. It would make great scarf material, I think. It was fun to Flip This Pattern. I hope to make another version of this dress soon. 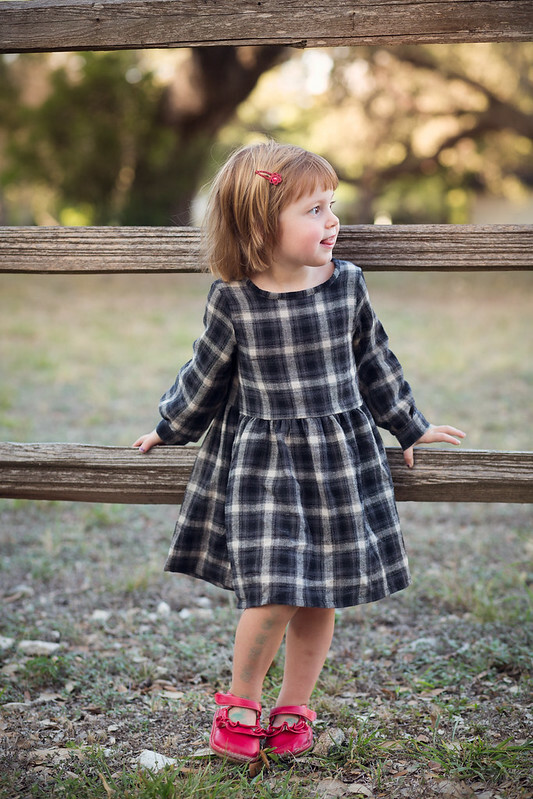 The perfect Autumn dress! 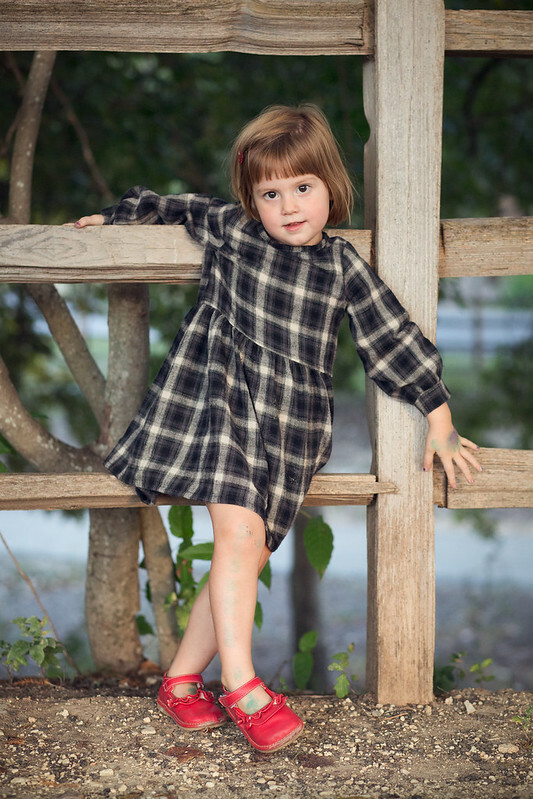 What a lovely flannel plaid - love that subtle herringbone stripe. Iris' red shoes look adorable with it, and as the weather gets colder, I can see it looking stunning with tights and boots. A great flip, Rachel! A quick question about the neckline binding - did cutting the binding on the cross grain rather than the bias give it that slight "stand up" collar look? And is it difficult to sew it onto a circular neck when it's not cut on the bias? I must try this new-to-me technique! Hey Lucinda! The photos in this post did not do this dress justice. It is so cute on. But because the bodice isn't fitted, it doesn't photograph well. It looks maybe a bit wide or boxy in the photos, but in person, it is adorable. It's super flowy and chic - in a kid friendly way. So about the neckline - I did this flip the night before it was due, the night before Iris' birthday, the night before my brother-in-law came into town. So yeah, it was intense. And I ran out of fabric, so I did not have enough to cut it on the bias, which is why I cut it on the crossgrain. This fabric had a linen-like shiftiness to it (you can probably tell in that photo of the dress on the hanger) so I felt it was fine to cut it on the cross grain, and it was. And actually I didn't even have enough to cut it on the crossgrain in one piece, so I had to piece it perfectly along one of the black squares (I wish I could insert a teeth-gritting emoticon!) :) The photos make it look more 'stand up' than it really was. (again cut on the bias). You're too hard on yourself - the photos of Iris' dress are lovely! I really do love your fabric choice and love that not only does it look adorable, but it must be so cozy to wear as well. Thanks for taking the time to explain the neckline experience. I've only ever tried finishing the neck with bias, not knowing that cross grain could work too as long as the curve wasn't too dramatic. I must try this sometime as truthfully, making my own bias tape is not a favorite activity. I even tried the continuous bias trick where you sew your fabric into a big tube and cut away at it. Tricky and time consuming. It is just darling! 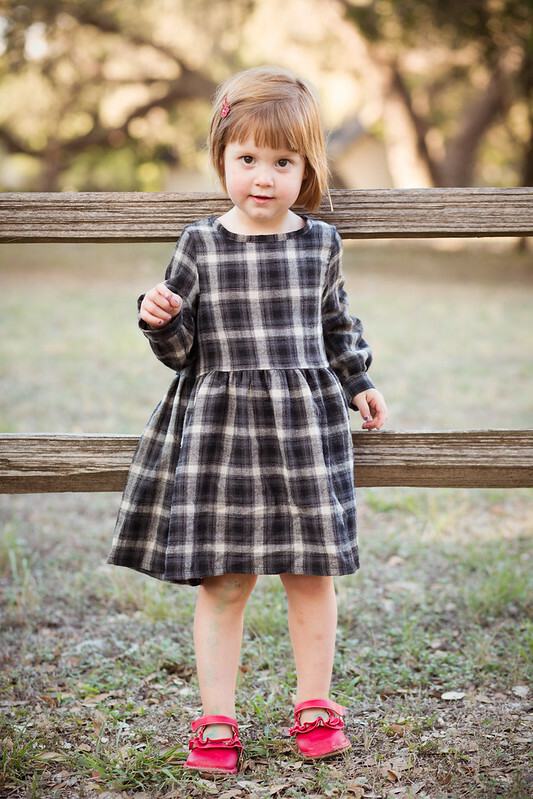 I miss sewing little prairie dresses. 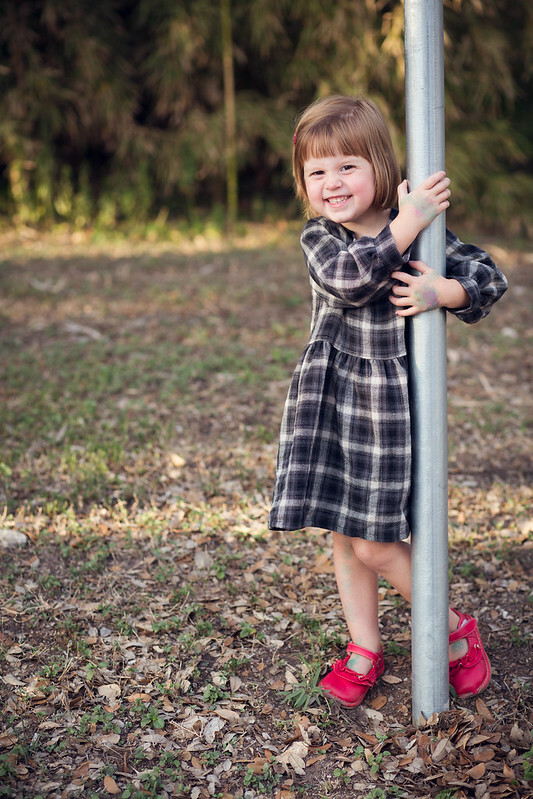 I used to make a dress like that and then add a pinafore. Love it! Its amazing how different it looks from the original dress! 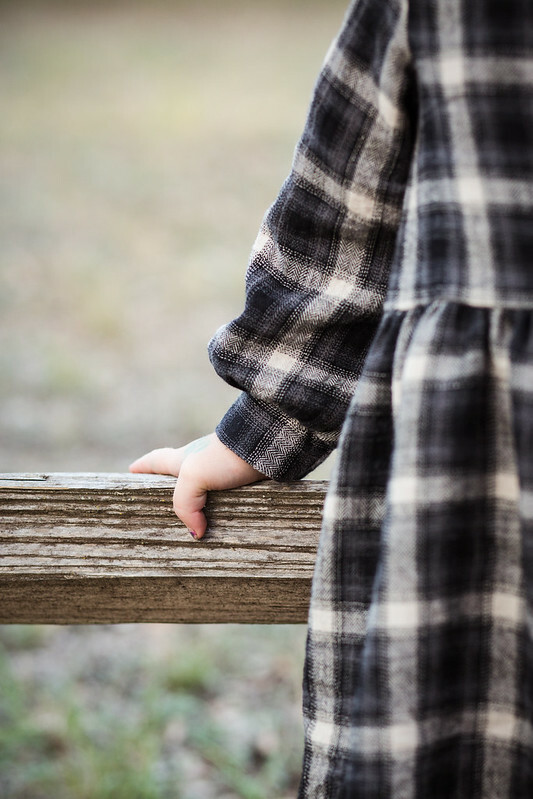 And I love the idea of a little plaid dress...although I generally avoid plaids like the plague since the idea of making everything line up makes my eye twitch! That flannel looks so cozy! You are always so thoughtful about your pattern decisions- it is such fun to read your descriptions of your pattern-alteration process! And I look forward to seeing your sewing of the original. What a darling pattern! 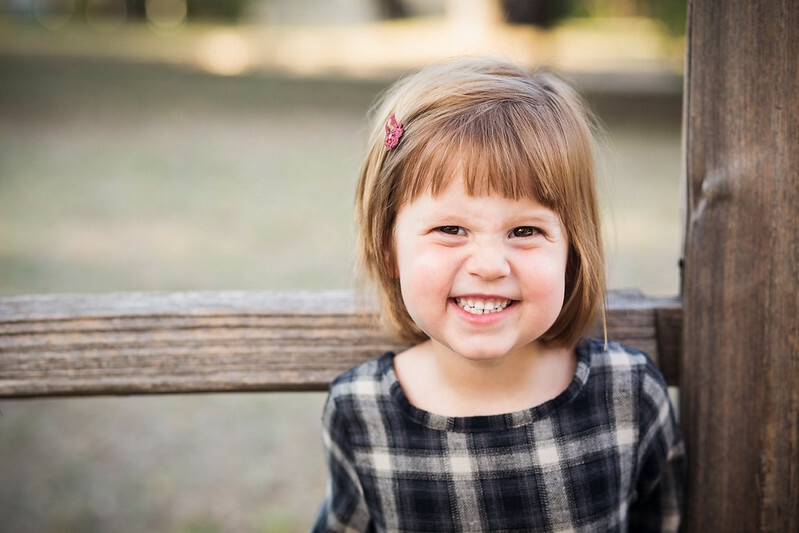 she is so cute - and it doesn't look like you rushed it at all! have you worked much with neckline facings? i tend to think they're quicker/easier than bias (i actually loathe applying bias binding) but you don't have to deal with fully lining the dress either. you might not have had enough fabric here though (reading your conversation with lucinda above). anyway. 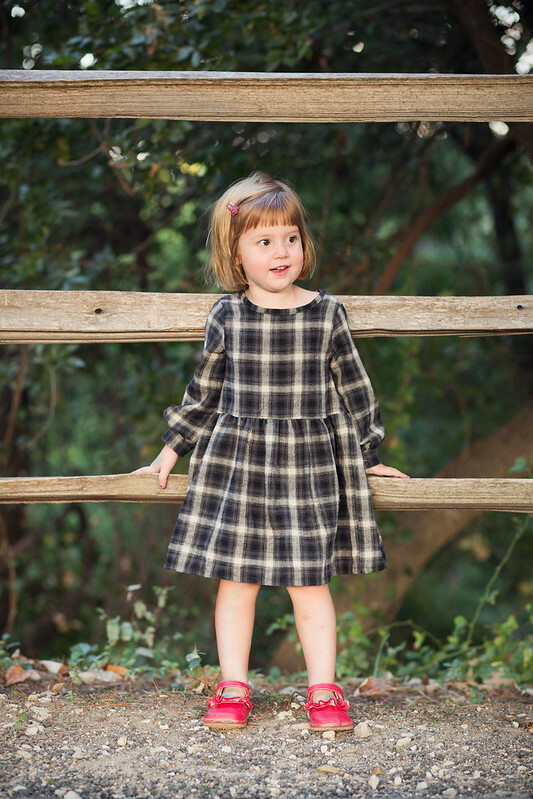 so cute and such a great little fall dress to wear with tights when (if?) your weather cools off!